The project aims to establish a business incubator facility that will harness the creativity, energy, and potential of micro, small, and medium enterprises (MSMEs) in Davao del Norte. The partnership will set up a business incubator that will offer its services to farmers, fishers and their families and to existing MSMES. The aim is to successfully incubate business and encourage entrepreneurship by annually training, in partnership with the Ateneo de Manila University, at least 150 fishers, farmers and their families from the Davao Gulf region. 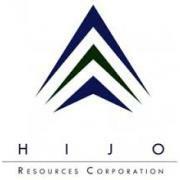 They will be trained on managing a business, including production and marketing. 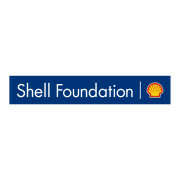 Shell Foundation is an independent charity, established in 2000 by the Shell Group. It works to create and scale new solutions to global development challenges by applying business thinking to major social and environmental issues linked to energy and mobility. Learning from both success and failure Shell Foundation has gradually developed a new ‘enterprise-based’ model to catalyse lasting social and environmental impact on a global scale. This sees it deploy a blend of financial and non-financial resources to accelerate transformative innovation and harness private markets to deliver public benefit at scale. Shell Foundation works with a small number of entrepreneurial partners to identify the underlying market failures behind intractable problems and co-create new social enterprises to solve them. It provides patient grant funding, extensive business support and access to networks to help pioneers to validate new models, achieve financial independence and expand across geographies. It then creates specialist intermediaries to facilitate growth and replication at an industry level. By working in this way Shell Foundation now has several strategic partners – addressing issues as diverse as energy access, sustainable mobility and job creation through the SME sector – that are now delivering large-scale impact in multiple countries across Africa, Asia and Latin America. The Gerry Roxas Foundation (GRF) is one of the oldest foundations in the Philippines. Organized in 1958, it originally began as the Roxas Educational Advancement Committee, an educational trust providing scholarships to poor youth in Capiz. In 1967, this educational trust was reconstituted into a non-stock, non-profit corporation known as the “Roxas Educational and Welfare Committee, Inc. (REWC), Inc. which then pioneered a nationwide program that recognizes the “beginnings of individual excellence and leadership in the community” among young Filipinos known as the “Gerry Roxas Leadership Award”. The drive to recognize excellence in the Filipino became the seed through which the REWC, through the years, emerged as a leading non-government organization (NGO) in youth leadership development. In memory of its illustrious founder, the REWC, Inc. was renamed the “Gerry Roxas Foundation, Inc.” (GRF) in 1982 and expanded its vision into community transformation and nation-building. Since then, the GRF has evolved beyond its youth leadership program into a development foundation with national, regional and international programs for Leadership Development, Barangay Justice, Community Outreach and Governance. Each GRF program focuses on enabling leaders: public servants, barangay justice advocates or exemplary youth to pursue its mission of creating a nation of leaders for change. Through their energy, commitment and visions, people’s voices are heard, access is created, communities are served and development becomes sustained progress. For more than 12 years, GRF has been a recipient of various financial and technical awards from local and international partners such as the United States Agency for International Development (USAID), World Bank, European Union, and Japan International Cooperation Agency (JICA). These projects allowed GRF to build the capacities of close to one hundred civil society organizations consisting of academic institutions, people’s organizations, cooperatives and non-government organizations nationwide. In recognition of its major role as a technical service provider to civil society organizations, on August 2013, USAID awarded GRF a 5-year contract to manage a grant-making facility for non-state institutions through the Philippine-American Fund project. This USAID project now stands as the 20th largest grant making facility managed by a non-government organization in the world. GRF is accredited as a donee institution by the Philippine Council for NGO Certification (PCNC) and is registered with the Department of Social Welfare and Development (DSWD) and Department of Interior and Local Government (DILG) as a development institution. It is also a member of the board of LoGoTRI-PhilNet and Association of Foundations, and is a recognized technical service provider of AusAID.